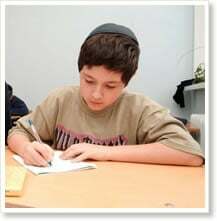 Educational Method - JKidz Hebrew School - Jewish. Done Joyfully! Drama, song, games, crafts, interactive workbooks, Aleph Champ, exciting prizes, and of course the teachers, bring Hebrew School lessons to life. Our hands-on learning style encourages children to be active, rather than passive, learners. Our trained Judaic teachers are the true life behind our Hebrew School. They actually live the material that they teach - and there is nothing like a living example.